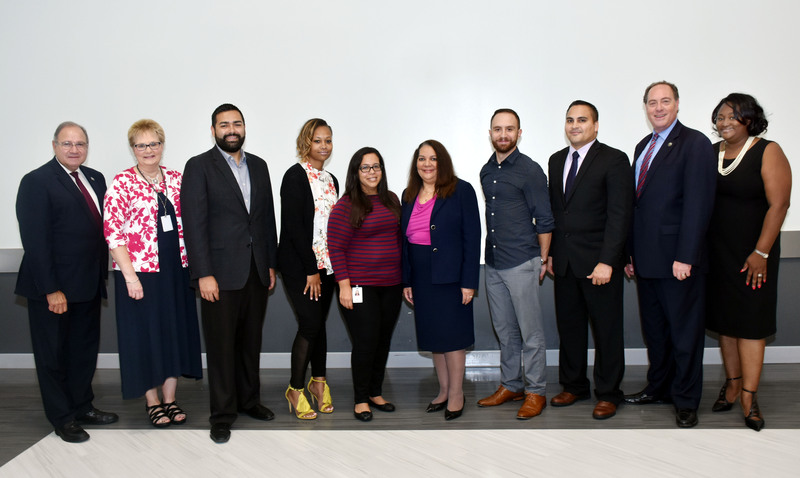 Union County, NJ – The Union County Board of Chosen Freeholders is pleased to announce the first graduating class of the new Non-Profit Consortium Leadership Fellows Institute. The 44 graduates were recruited from local non-profit organizations in partnership with the Union County Non-Profit Consortium, with the goal of developing the next generation of informed, effective executives in the non-profit sector. The Non-Profit Leadership Fellows Institute was launched in 2017 by Freeholder Bruce H. Bergen, when he served as Chairman. It represents the first, focused investment that County government has made to support skills and training for the next generation of non-profit executive leaders. The Union County Non-Profit Leadership Fellows Institute is a public-private partnership funded through $5,000 in seed money from County government, $500 contributions made by the non-profit organizations for each candidate they send to the Institute, and the generosity of private sector sponsors. Of the 44 graduates, 22 were sponsored through the Freeholder Board and 22 were sponsored through the nonprofit organization Community Access Unlimited. Each of the participants attended 11 skill-building sessions based on a dynamic, interactive model. Peer learning is also an important element of the development program. For more information about participating in or supporting the Non-Profit Leadership Fellows Institute, Sidney Blanchard, Executive Director, Community Access Unlimited at 908-354-3040 or sblanchard@caunj.org.